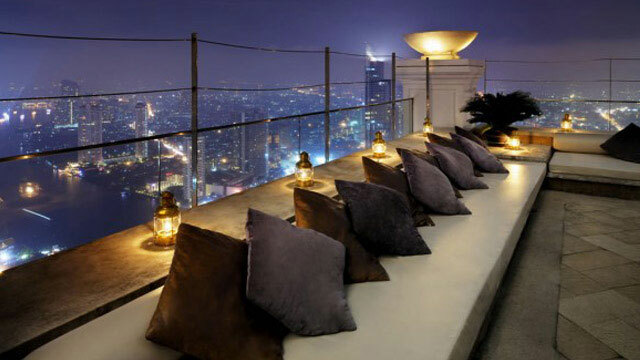 Distil Rooftop Bar Bangkok is a classic cocktail bar, located on the 64th floor of the famous Lebue State Tower. The roof terrace is quite small, but the seating available is really cool. Edge sofas all around the terrace, getting you really close up with the impressive skyline. 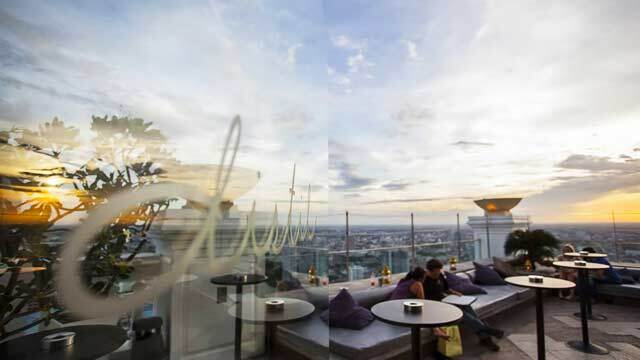 Distil Lebua State Tower is the highest Bangkok rooftop bar on this list, and part of the Lebua Tower rooftop experience, which includes Sirocco Rooftop Bar and Sky Bar at Lebua one floor down, and Alfresco 64 at another area on the same floor. 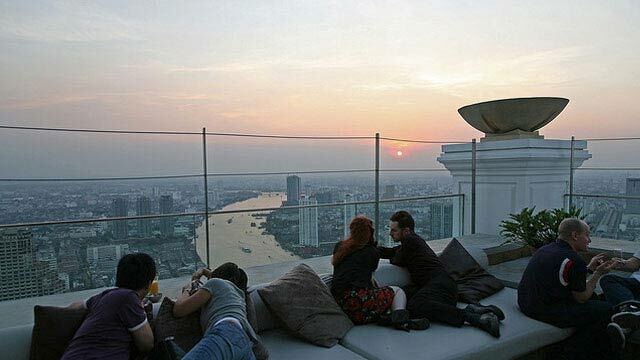 Many would argue that these together create one of the best rooftop experiences in the world. Distil is a bit less known compared to Sirocco and Sky Bar, which means there is a better chance to get a good spot at this place. Try to arrive at opening around 5pm, this way you will both catch the best seat and the amazing sunset. The cocktails at Distil rooftop bar are both creative and very tasty. But, they do not come cheap, so be prepared to spend or just settle for one cocktail with an amazing view before moving on. There is also a food menu with more bite-like dishes as sliders, oysters, sushi and caviar. 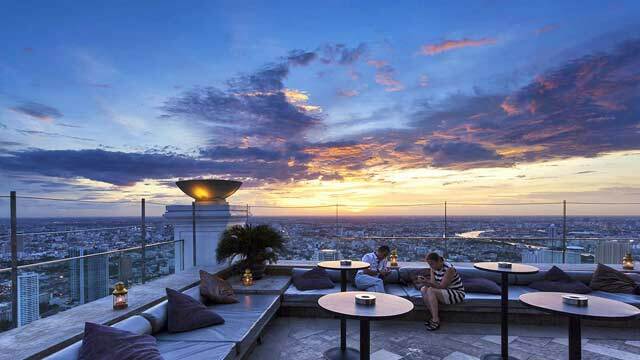 Read our review about Distil Rooftop Bar, where we spent an evening in April 2017 with drinks to a beautiful sunset over Bangkok.